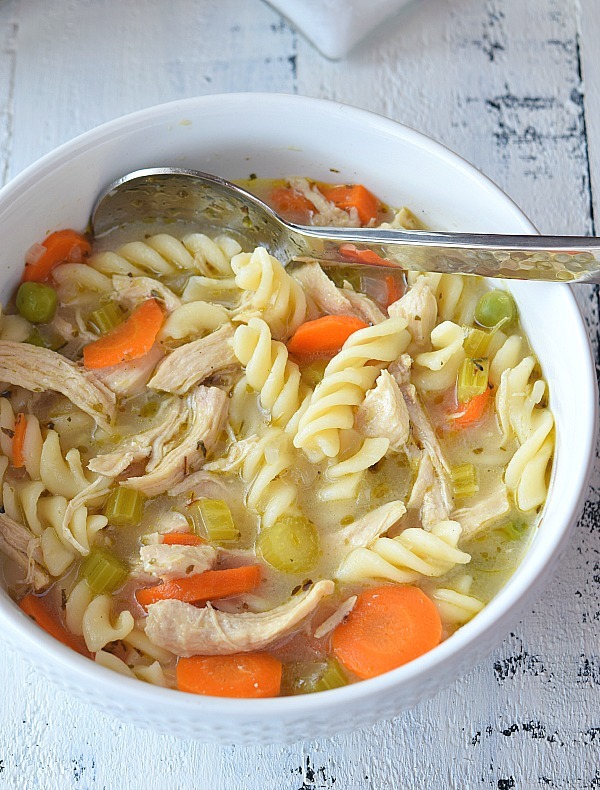 This is the easiest and very comforting soup you can make to get all comfy when its cold out there and you are looking to fix dinner in no-time,also when you are under the weather then again this is what you can go for. 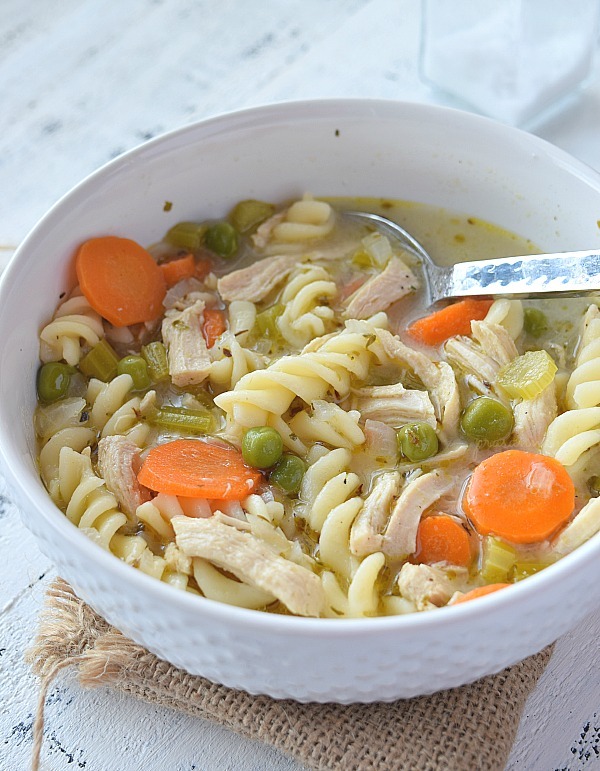 Super easy recipe,great ingredients and easily put together ,less than 30 mins.Kids would also jump at the sound of this soup, as this has chicken and veggies at the same time,and they wouldn't mind having veggies for once as this is super delish! When I am super tired then I look for easy dinner fixes. Wanted to make something fast for dinner,did not want to cook some long ,laborious,time consuming dinner but something that would fill our tummies and make us happy too.Finally settled with this soup and was super happy with my decision to make this. 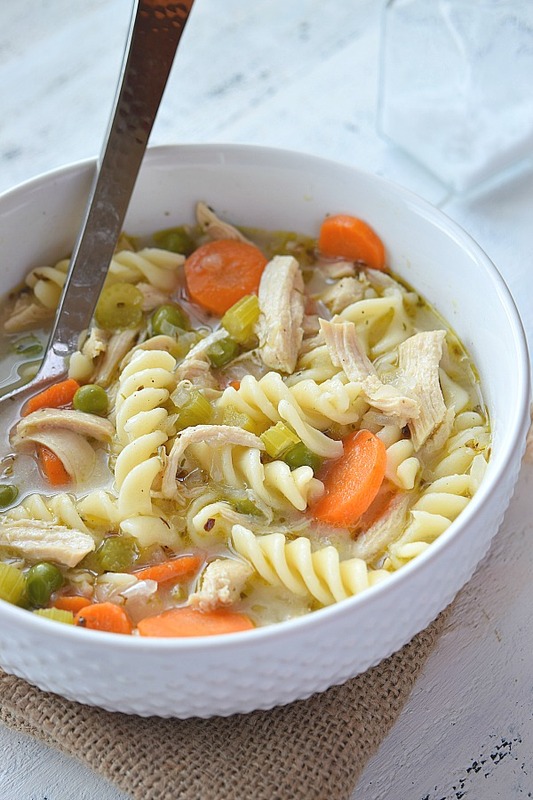 Recently I have shared some many comforting recipes that we all would love to have a bite of.Here are few to point out - Fettuccine Alfredo, Homemade best Cinnamon Rolls, Best ever Churros, Cajun Shrimp Pasta , Egg Drop Soup and many more. I have not used any store bought stock. I have boiled the chicken breast and strained the water in which chicken is boiled to separate any impurities and used that as a stock. Do not leave the pasta in the soup for a long time,as it will drink the soup and will grow double in size. 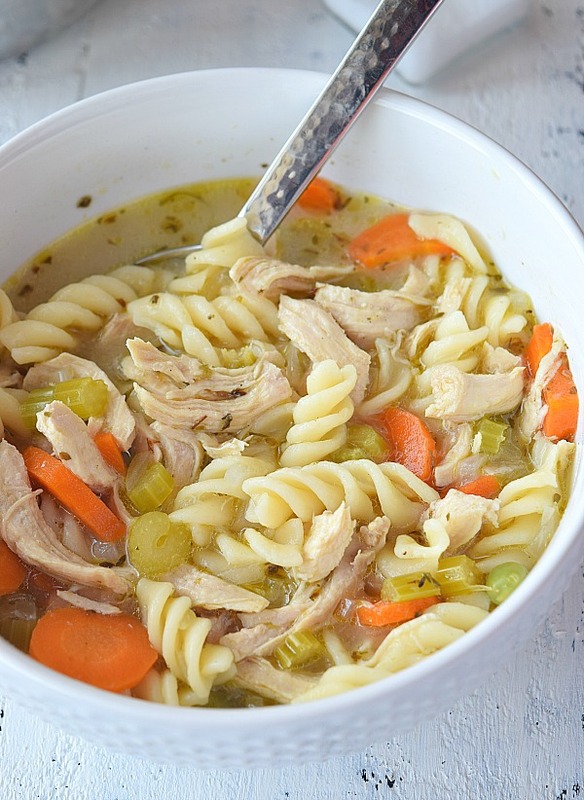 Alternatively,you can make chicken stock by using Chicken bouillon. Use any vegetables of your choice if you do not find the veggies mentioned in the recipe. Take lots of water in a pan,and once it boils,add the chicken breast to it. Let it boil till the chicken is cooked well. Let it cool and strain the stock and keep aside. In a pan,add butter and add the veggies and fry them till soft. Add the pasta and stock,let it cook for few minutes till the pasta is cooked well. Add the chicken shredded and adjust salt.